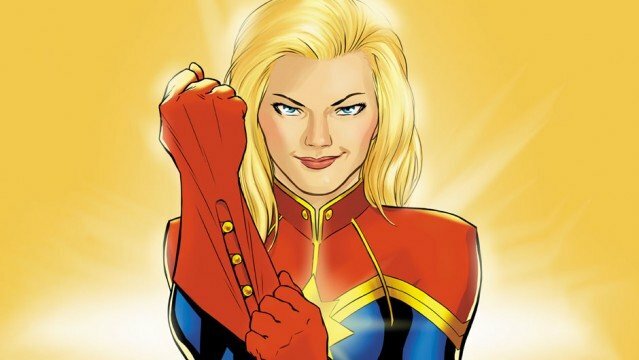 Mississippi Grind filmmakers Anna Boden and Ryan Fleck envision a “singular character journey” for the Captain Marvel solo movie, and it’s this intuition – coupled with a handful of other critical factors – that landed them the coveted gig in the first place. At least, that’s according to Marvel head honcho Kevin Feige. Speaking with Vulture (with a tip of the hat to CBM), Feige once again noted how the studio cast a “pretty wide net” in search of Captain Marvel‘s double act – Niki Caro, Lesli Linka Glatter, Lorene Scafaria and Rebecca Thomas were all said to be in contention at one stage or another – before ultimately settling on Boden and Fleck. Why, exactly? Because Feige considered Anna Boden and Ryan Fleck to be the perfect fit for the Carol Danvers origin story. We cast a pretty wide net. It’s always based on people who’ve done things that we thought were interesting, at any level. We haven’t hired anybody who’ve never done a feature before, but what gets you in the room is doing interesting work in television and interesting work in features, both of which they’ve done. And then it’s about the conversation and the vision that we see. For us, what Anna and Ryan have done so spectacularly well in all of their movies, albeit on a much smaller scale than they’re about to do, is create a singular character journey. The stories they’ve told have been so diverse, but regardless of the subject matter, they can dive into it and hone in on that character’s journey. Echoing a recent interview, Feige went on to stress Captain Marvel will be the MCU’s most powerful hero to date – by quite a stretch, we may add – but it’s really the origin story of Brie Larson’s Carol Danvers that will hook in viewers come 2019. At least, that’s the idea. Captain Marvel will be, by far, the most powerful superhero in Marvel’s cinematic universe. [The story] ultimately needs to be about the three-dimensional, multilayered Carol Danvers character. You have to be able to track her and follow her and relate to her at all points of the movie, regardless of how many visual effects and spaceships and bad guys are filling the frame. That’s what’s important. Captain Marvel is slotted in for March 8th, 2019. If those early reports are to be believed, Brie Larson will actually make her debut as Danvers in next year’s Avengers: Infinity War. Chalk that one up as a rumor for now, but we’ll be bringing you all the latest as more information comes to light.